" Oh soul come out of that body, your lord is pleased with you." Shortly after that the soul leaves the body, the Angel dress the soul in Heavenly silk clothes and put on the perfumes. The Angel then take the soul to the sky, and the groups of Angel which they pass them will know that it is a soul of a good believer, they will say to the soul "Welcome holy-soul you have been obedient to Allah and Allah is pleased with you." Meanwhile the Angels take the soul to the first level of the sky and knock on the door and the Angel inside ask. "Who is it?" The Angel outside reply: "We have brought a good person's soul." The Angel inside open the doors to welcome the soul. The soul is then taken to the second level of the sky, and the in the same manner the soul keeps travelling with the Angel until it reaches the seventh level. The Angel then leave the soul on the seventh level where it goes to a place called Il-li-yeen. Illiyeen is the place where all good Muslim souls are gathered after death. The soul is asked questions by the souls who are already there, they ask about their families back on earth: "How are they? What are they doing?" Some old souls will ask about such and such a person, the new soul will say, "Hasn't he come to you?" The old soul replies, "No, he must have been thrown into Hell." After all the talking one of the old soul says: "Let him rest now he is very tired". The soul returns to his body at the time of burial, then the Questioning starts. 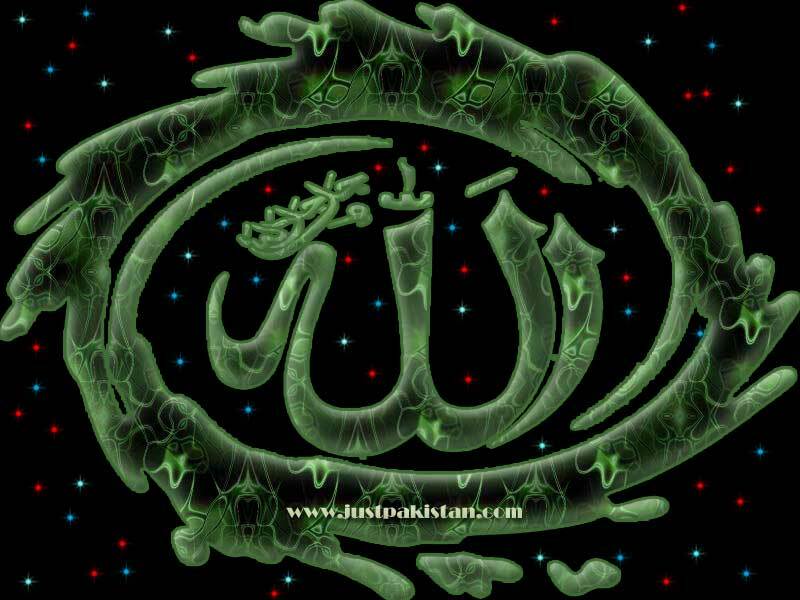 "MY LORD IS ALLAH (SUBHANA WA TA'ALA)" replies the believer. "MY RELIGION IS ISLAM" replies the believer. Then the dead person is shown the Prophet Muhammad (sallallahu alayhi wa sallam) and the two Angel ask: "WHO IS THIS MAN"? The believer will reply "THIS MAN IS PROPHET MUHAMMAD (sallallahu alayhi wa sallam)"
The Angel will then ask "HOW DO YOU KNOW"? "I READ THE BOOK OF ALLAH (SUBHANA WA TA'ALA) AND ACTED UPON IT". A voice will be heard: "This person is a true believer." At this point the person's grave bed will widen as far the eye can see. Light will appear in the grave and fresh air and heavenly perfume will come in the grave from a window opening into heaven. The person will be dressed in clothing from heaven and the Angel will order him to sleep. The person will rest in his grave until Yawm-ul-Qiyama (the day of judgement). Then a handsome man, with clean clothes and with beautiful smells will come saying: "Be happy, This is the day Allah (subhana wa ta'ala) promised you." The dead person will ask: "Who are you?" The man will say: "I am your good deeds". When all the questions have been asked the soul will be free to go back to Illiyeen. You must remember that every soul has contact with its body in the grave. A small example of that would be: If a person passing by the grave says salaam, the dead person answers the salaam even if he is in Illiyeen. The Prophet Muhammad (sallallahu alayhi wa sallam) said that when a person's body is buried, he wakes up by rubbing his/her eyes. He/she will feel as though the sun is setting and say, " leave me I want to read Asar Salaat." Then the questioning will start. The grave is not a pit into which dead bodies are thrown, but it is a door to a world where people go after death (Barzakh). It is the stage between death and the Day of Judgement. After death every soul is alive. Non-believers will stay in imprisonment and will get punished, but a good Muslim's soul is free and it could go anywhere he/she likes. For example can perform Hajj, can appear in dreams of people who are still alive and can give them news and also go to people's houses, however they are invisible. "I DON'T KNOW" replies the non-believer. Then the dead person will be then be shown the face of prophet Muhammad (sallallahu alayhi wa sallam) and the two Angels will ask: "WHO IS THIS"? "I DO NOT KNOW" replies the non believer. The Angel will say: "He is a liar! put clothes of fire on Him, make Him a bed in hell and open the window of Hell for him". Then facing the non-believer, the window of hell fire opens and hot air from hell enters the grave. The grave tightens and the Angel will hit the non-believer between the eyes with an iron bar. If that iron bar hit a mountain in this world, the mountain would crumble like powder. Then the non-believer will scream in so much pain that everything from East to West will be able to hear the screams, all except human beings and Jinns. The second punishment will be the 99 poisonous snakes in the grave, which will not stop biting the person until the Day of Judgement. This is because he did not believe in Allah (subhana wa ta'ala). Then an ugly looking man will come, who will smell disgusting and who will be wearing dirty clothes and say: "Be unhappy this is the day that Allah (subhana wa ta'ala) promised you. You will suffer in agony until the Day of Judgement". The person from the grave, will ask: "Who are you" The man will reply: "I am your bad deeds"
QUESTION People who have tragic deaths like being burnt or drowned in the sea or get eaten by an animal. Where do they go for questioning? ANSWER After the soul returns from Illyeen or Sijjeen, the soul enters the spine and the person is ready for questioning. The grave of a person is where the spine is, even if it is in the stomach of the whale. The soul enters the spine of the body. As there are always pieces of spine left even if it is in the ashes or in the stomach of a whale. In the grave all the body rots away except the spine because on the day of Judgement the bodies will be risen from it. But the prophets and the pious people, their body do not rot away like a normal persons body does.